We recognize that, for privacy reasons, you may not want to publicize your email address on your website. However, you still would like visitors to be able to contact you. We have created an option that allows for exactly that. You can hide your email on the Contact page, but still allow visitors to fill out the Contact form on your Contact page. Behind the scenes (and without your visitors knowing), we will forward all information entered into the Contact form to the email address we have on record for you. In other words, your visitors will not know the exact email address where their information is being sent. 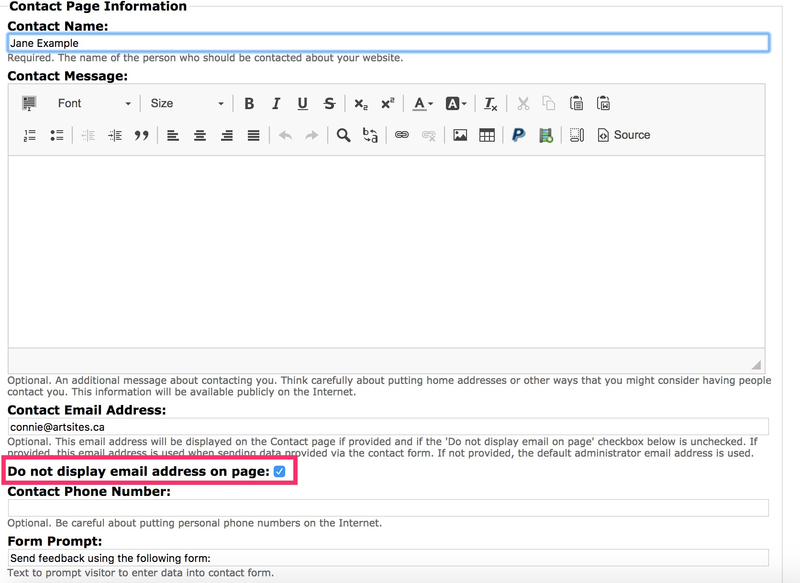 If you would like to hide your email address on the Contact page, here are the instructions. Be sure to scroll down to the bottom of the page and click the "Update Contact Information" to save your selection!